I'm back in the shop working away. 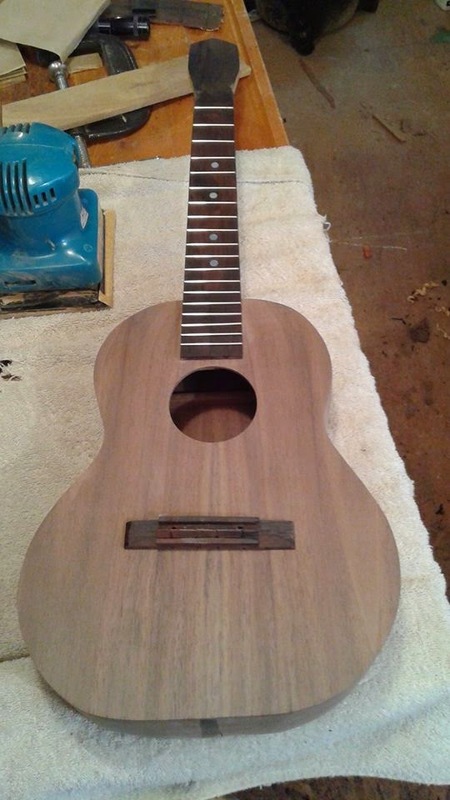 The first ukelele is getting close to being finished. Will be gluing on the back tomorrow and starting on the fingerboard! Also will be putting a banjo rim together. I finally finished this one on 2-7-15. Looks ok, sounds really good, have made note of my mistakes, so Ukelele WG-2 will be much improved!